(by Darren Davidson, The Australian) — Facebook is using sophisticated algorithms to identify and exploit Australians as young as 14, by allowing advertisers to target them at their most vulnerable, including when they feel “worthless” and “insecure,” secret internal documents ­reveal. A 23-page Facebook document seen by The Australian marked “Confidential: Internal Only” and dated 2017, outlines how the social network can target “moments when young people need a confidence boost” in pinpoint detail. After being contacted by The Australian, Facebook issued an apology, and said it had opened an investigation, admitting it was wrong to target young people in this way. “We have opened an investigation to understand the process failure and improve our oversight. We will undertake disciplinary and other processes as appropriate,” a Facebook spokeswoman said in a statement sent to The Australian at the weekend. Rumors about Facebook’s advertising sales methods have been common in media circles for several years, but until now there has been no hard evidence, nor any suggestion they go to such considerable lengths to commercialize their youngest users. In a move that raises profound ethical questions about Facebook’s use of covert surveillance, the document lays out how the world’s biggest social network is gathering psychological insights on 6.4 million “high schoolers, college students” and “young Australians and New Zealanders … in the workforce” to sell targeted advertising. A presentation prepared for one of Australia’s top four banks shows how the $US415 billion advertising-driven giant has built a database of Facebook users in Australlia that is made up of 1.9 million high schoolers with an average age of 16, 1.5 million university students averaging 21 years old, and 3 million young workers averaging 26 years old. The tactics appear to breach the Australian Code for Advertising & Marketing Communications to Children guidelines which seeks to maintain a high sense of social responsibility. The revelations cast new light on how Facebook harvests and uses the extraordinary amounts of data that it gathers on the Australian population to figure out what people are doing and thinking (for the main purpose of making money by selling the information to advertisers). The document claims that Facebook is not only able to detect sentiment, but it can also understand how emotions are communicated at different points during a young person’s week. For example, using image recognition tools, advertisers can see how people visually represent moments such as meal times on the company’s platforms including Instagram, the photo-sharing site that Facebook owns. Because Facebook rolls out ad products on a regional and global basis, the company could be targeting young children around the world with these methods. The Facebook statement adds: “While the data on which this research is based was aggregated and presented consistent with applicable privacy and legal protections, including the removal of any personally identifiable information, our internal process sets a standard higher than required by law. ‘‘Facebook only permits research following a rigorous procedure of review whenever sensitive data, particularly data involving young people or their emotional behavior, is involved. The engine that drives Facebook’s opaque [unclear; hard to understand] ad sales system is built on algorithms — sets of complex instructions that Facebook’s engineers use to mine personal information about the preferences of a worldwide audience of 1.86 billion users. From TheAustralian .com.au. Reprinted here for educational purposes only. May not be reproduced on other websites without permission from The Australian. 1. What did secret Facebook documents reveal about the company’s program targeting Australian young people? Be specific. 2. How did Facebook gather the information about the emotions of younger users? 3. Why is the company gathering this detailed personal information on its younger users? 5. a) Describe Facebook’s response to The Australian news. b) What do you think the company means when it says they will “undertake disciplinary and other processes”? c) Should users who had personal / emotional details sold to advertisers be satisfied with Facebook’s response? Explain your answer. 6. a) Do you think Facebook gathers the same information about American users that it does about Australian teen users? Explain your answer. 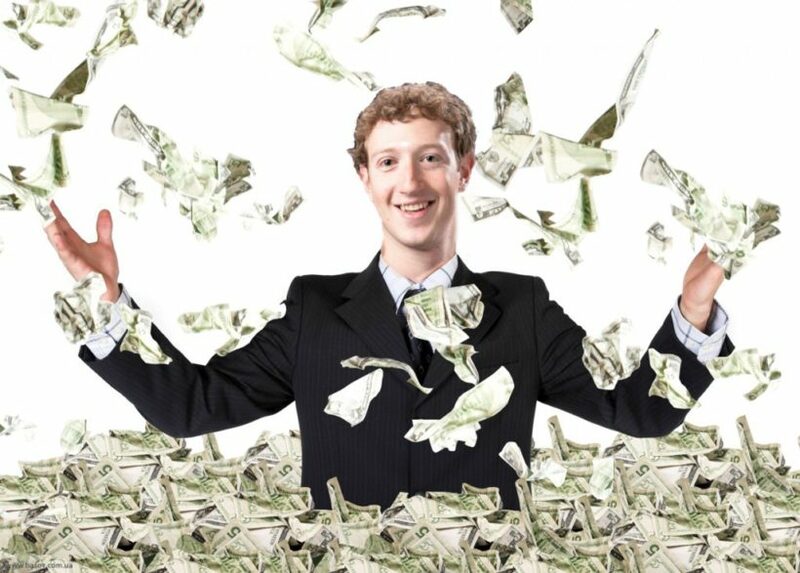 b) Why is the 14-26 age group so important/lucrative to Facebook? Mark Zuckerberg’s company has not been shy about exploring ways it can manipulate the data it collects on users. For one week in 2012, Facebook ran an experiment on some of its users in which it altered the algorithms it used determine which status updates appeared in the news feed of nearly 700,000 randomly selected users based on the post’s emotional content. Posts were determined to be either negative or positive and Facebook wanted to see if it could make the selected group sad by showing them more negative posts in their feed. It deemed it could. The results were published in a scientific journal but Facebook was criticized by those concerned about the potential of the company to engage in social engineering for commercial benefit. Currently information about your relationship status, location, age, number of friends and the manner and frequency with which you access the site is sold to advertisers. But according to the report, Facebook is also seeking to sell ads to users concerned with insights gleaned from posts such as those concerned with body confidence and losing weight. a) What is your initial reaction to this information? While Google is the king of the online advertising world, Facebook is the other major player which dominates the industry worth about $80 billion last year. The leaked document shows it has been honing the covert tools its uses to gain useful psychological insights on young Australian and New Zealanders in high school and college and into their 20’s. The social media services we use can derive immense insight and personal information about us and our moods from the way we use them, and arguably none is more fastidious in that regard than Facebook which harvests immense data on its users. Facebook did not return attempts by news .com.au to comment on the issue but was quick to issue an apology and told The Australian that it will conduct an investigation into the matter, admitting it was inappropriate to target young children in such a way. “The data on which this research is based was aggregated and presented consistent with applicable privacy and legal protections, including the removal of any personally identifiable information,” Facebook said in a statement issued to the newspaper. However there is suggestion that the research could be in breach of Australian guidelines for advertising and marketing towards children. Many commentators have suspected Facebook engaged in this sort of cynical exploitation of the data it gathers but the leaked document is scarce proof. The results were published in a scientific journal but Facebook was criticised by those concerned about the potential of the company to engage in social engineering for commercial benefit. News of the questionable sales tactics is the latest in a series of articles by The Australian about Facebook. Last week, this newspaper reported how Facebook is offering rebates to media agencies based on how many staff they employ, and sweetens ad deals with an all-expenses-paid trip to its US headquarters, where founder Mark Zuckerberg is based. Rebates are common in the media industry. But evidence of their existence raises important questions about whether ad buyers are given incentives by Facebook to direct client spend to Facebook regardless of whether such purchases are in an advertiser’s best interest. The Australian revealed that the business had parted company with Australian managing director Stephen Scheeler in February. Current Yahoo7 chief executive Ed Harrison is said to be the front runner for his job.